Oh my goodness, what a collection! 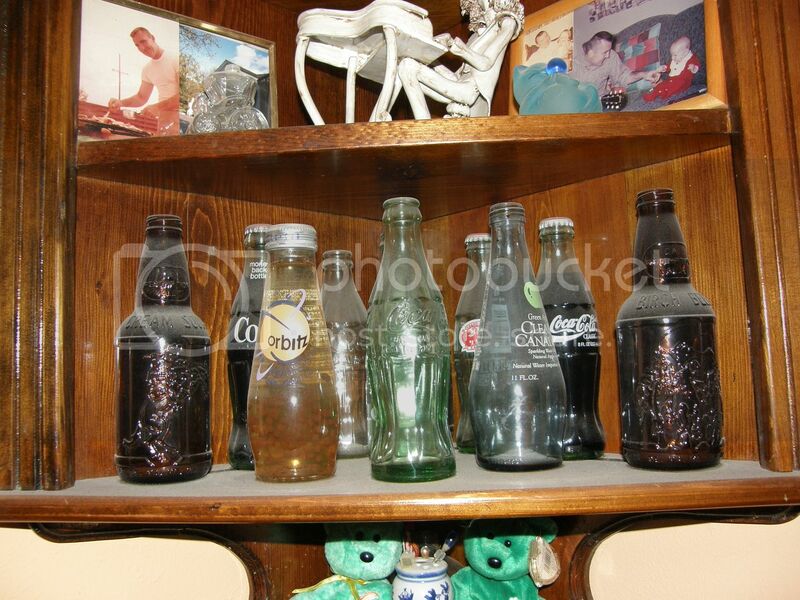 Are those antique Coke bottles unopened? Oh wow... Clearly Canadian! I haven't seen that stuff in ages! I know! It was good, too. Gosh, I would love to have a close look at the contents of your cabinet. Lot's of lovely and interesting pieces in it. And it's hard to get really good pictures, because of the glass and the mirrored back -- I was trying to get someplace with the least amount of glare to get a good shot! 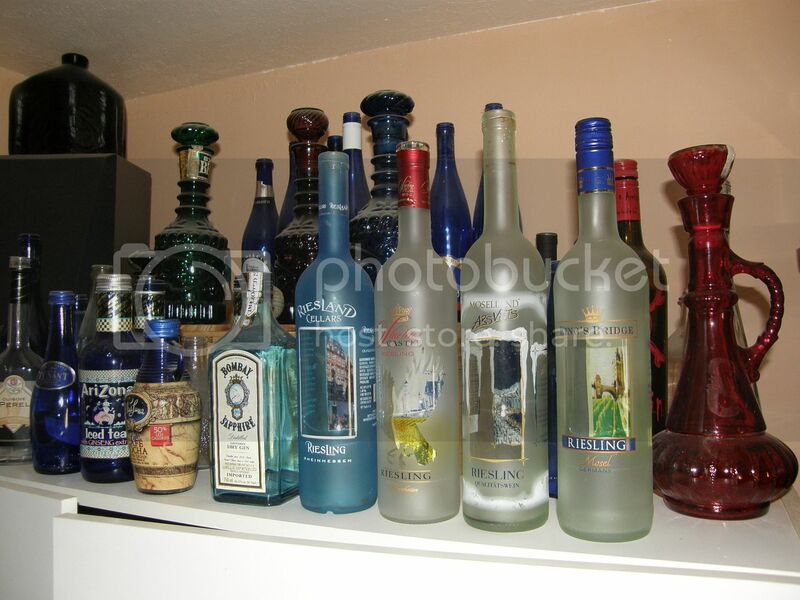 I'm very proud of my collection -- I've been collecting the bitters bottles since I was in 5th grade. 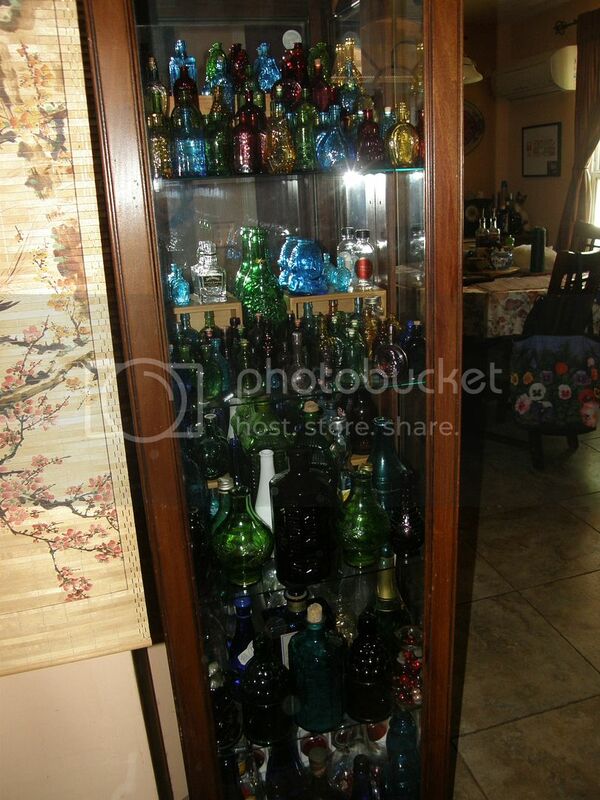 I also have a glass and mirror cabinet filled with treasures. I tried to get a decent pic but gave up in despair. You may have noticed I took the bottles into the garden in order to get a reasonable pic. Wow, what a collection! Very impressive. 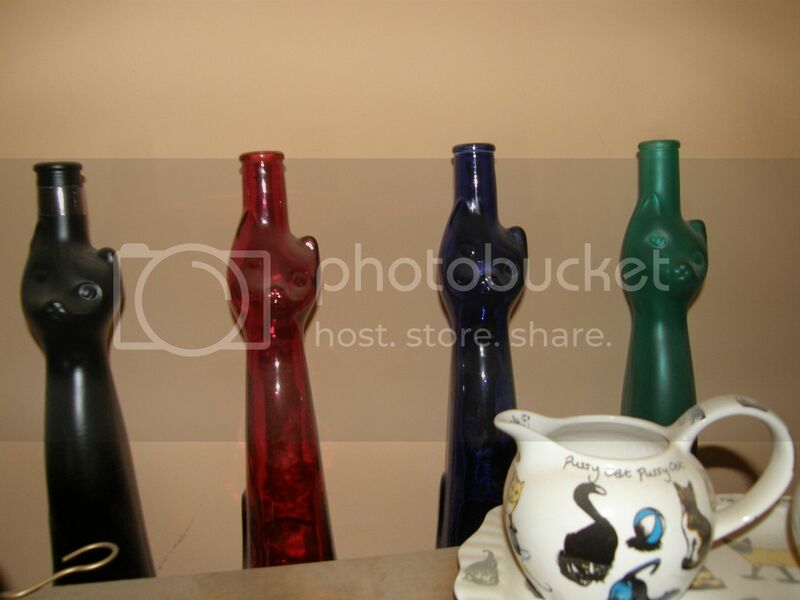 I really like the variety of shapes in the second picture and the way the light catches the different colours. I think there is a blue one shaped like a man's head in there? Yes! It's George Washington's head, actually -- I believe it's modeled on an inkwell, I'd have to look it up to double-check, though. May have simply been another bitters bottle initially. 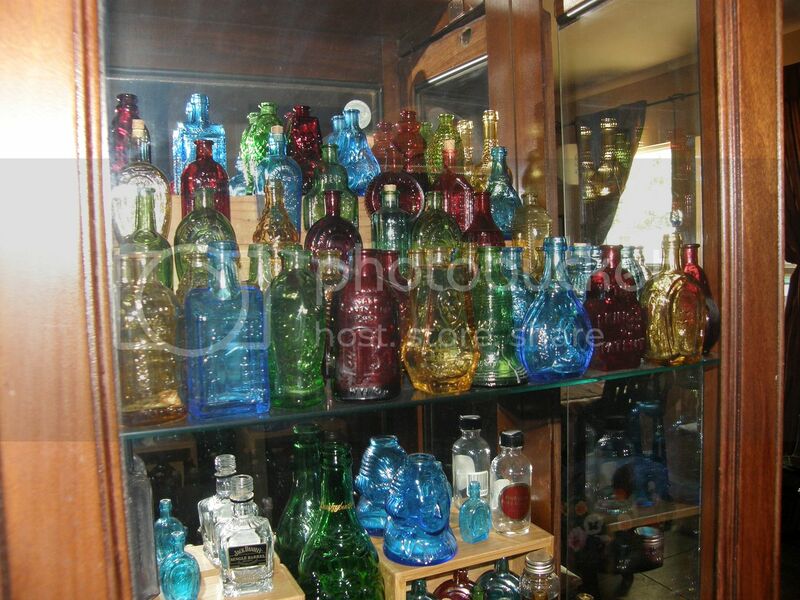 A lot of my bottles are reproductions, but they're more than old enough to be authentic antiques on their own! What fantastic colours! I'm so glad I thought of using 'bottles' for the challenge! The colors of the glass are beautiful. You have a lovely collection there. Very impressive!